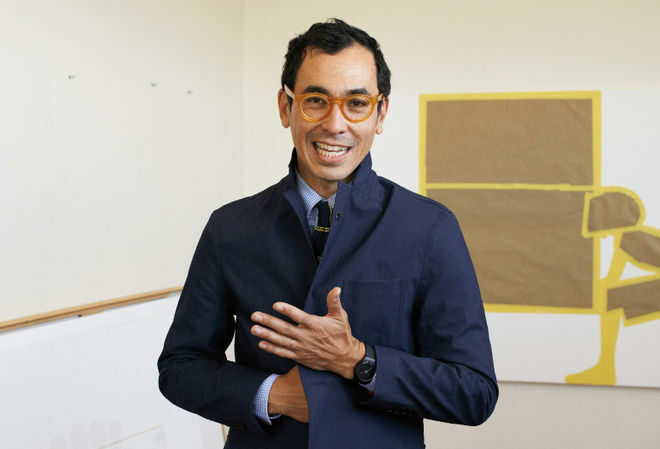 Geoff McFetridge is a Canadian artist, filmmaker, and title designer based in Los Angeles. A graduate of The Alberta College of Art and Cal Arts, McFetridge has worked primarily in the world of graphic design, creating graphics and logotypes for companies such as ESPN, Burton Snowboards, Nike, Girl Skateboards, Stussy and others. In 1996, he founded his own design studio, Champion Graphics. His first foray into the art world was a 1997 solo exhibition at George’s in Los Angeles. The show introduced his work to photographer and filmmaker Sofia Coppola, who commissioned him to create the title graphics for her 1999 film The Virgin Suicides. McFetridge has since designed titles for films such as Adaptation, Where the Wild Things Are, and Her.